Chicago Heights, IL-(ENEWSPF)- From the Opening Pitch Seen ‘Round the World last August, Sr. Mary Jo Sobieck’s travels have continued. There was the Crosstown Cup in September. 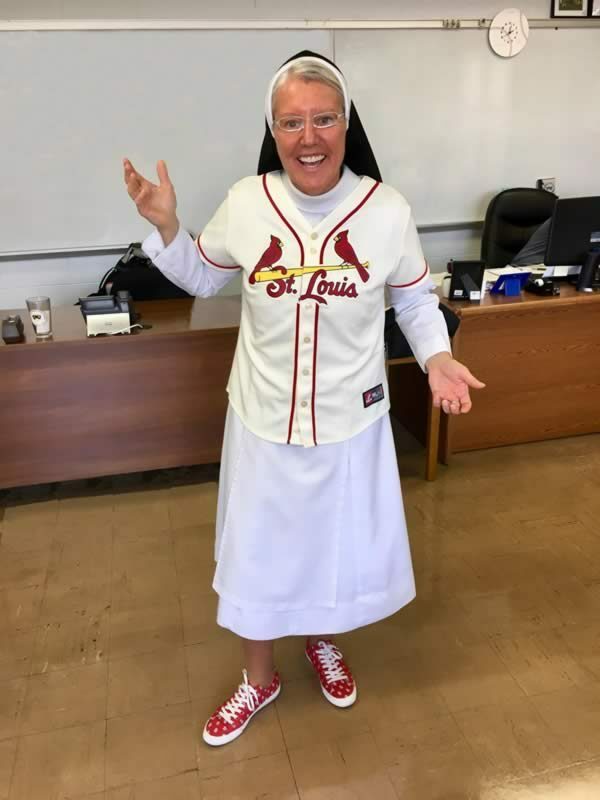 Now, once again representing Marian Catholic High School, the school is coming to St. Louis where Sister Mary Jo will be throwing out the first pitch for her beloved Cardinals on Thursday, April 11. To celebrate, the school is throwing a party with Sister Mary Jo in St. Louis at the Budweiser Brew House at Ballpark Village St. Louis after the game! You can join the party from 3:30 – 6:30 pm for complimentary snacks and a cash bar. 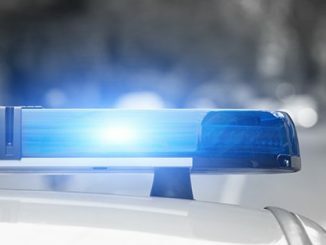 To RSVP, visit http://bit.ly/SrMoJoStLouis. “All are welcome!” the school says in an announcement. 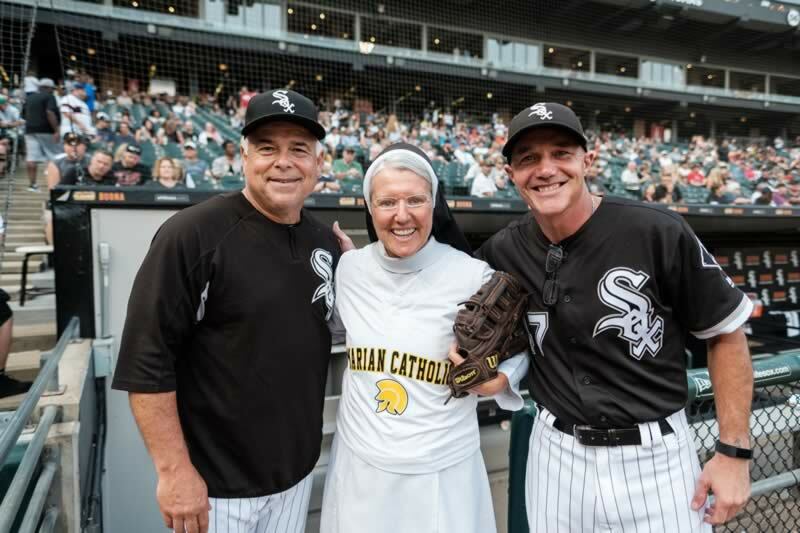 It was just a few month ago that Sr. Mary Jo, a theology teacher at Marian Catholic High School, resolutely took the mound at Guaranteed Rate Field and fired a perfect pitch for the ages. 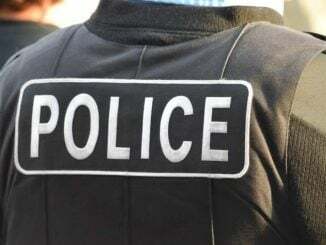 Since then, she has appeared on a number of television programs, local and national, including Good Morning America,Fox and Friends, NBC Nightly News with Lester Holt, WGN in Chicago, local stations across the United States, and international news stations. You can order your Sister Mary Jo Marian Catholic Bobblehead here. 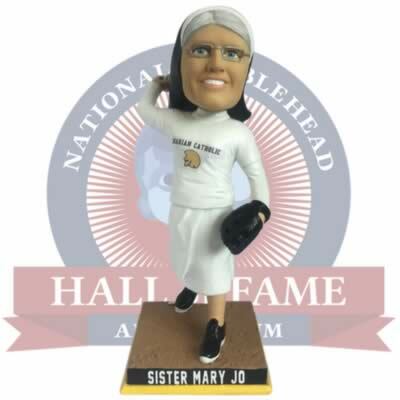 $5 from every Sister Mary Jo Bobblehead sold goes to Marian Catholic High School.